Ambulatory Table is manufactured with no Sharp corners and is steel painted with epoxy powder coating. This table is robust construction,impact-resistant, scratch-resistant. It is easy to clean, washable and disinfectable. 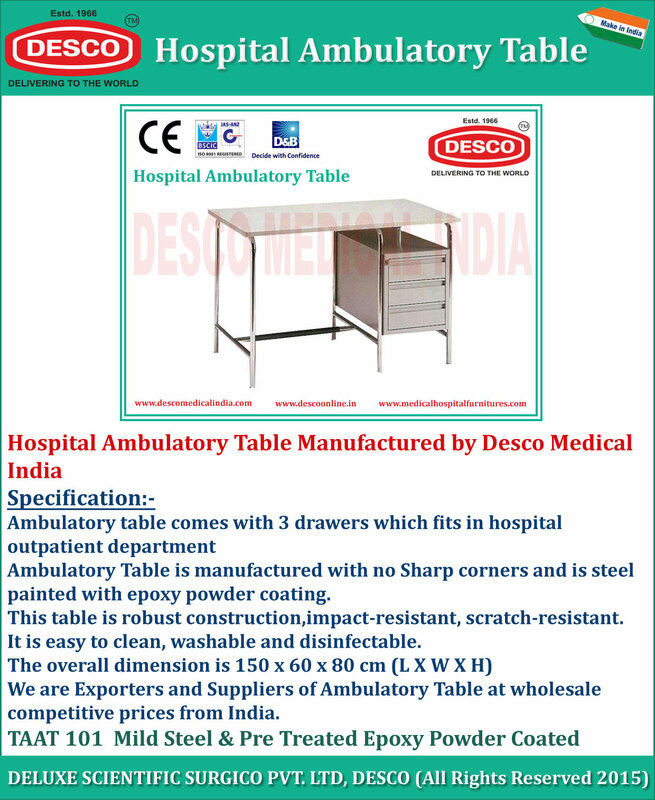 We are Exporters and Suppliers of Ambulatory Table at wholesale competitive prices from India.